Call Wildlife Management & Nuisance Removal at (231) 347-2540 for your wildlife removal needs in the Emmet County, Charlevoix County, Mackinaw County, Cheboygan County, Chippewa County, Petoskey, Burt Lake, Boyne City, St. Ignace, Harbor Springs, and surrounding area. The Owner / Operator, Gregg Schumaker, of Wildlife Management & Nuisance Removal has been in the nuisance wildlife removal industry for over 20 years. Gregg is currently the President of the National Wildlife Control Operator Association. 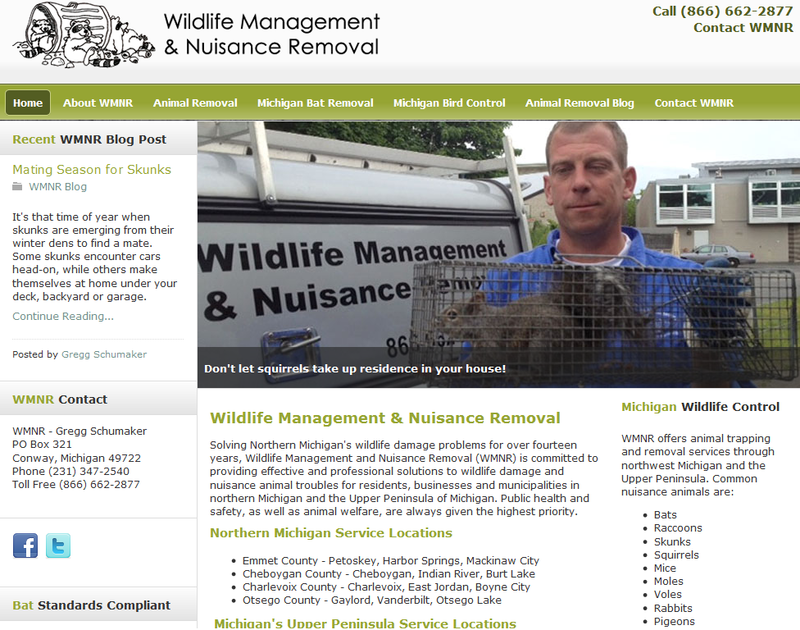 Call Wildlife Management & Nuisance Removal at (231) 347-2540 for your wildlife removal needs.